We have had some great news from Torturas, Avatar Bumper Cars is getting a major update. 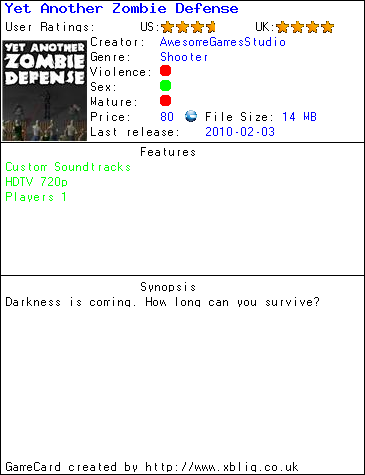 This is going to include an online mode. Avatar Bumper Cars is a great little game, but there is no doubt that unless you have a friend to play against locally, it is going to have a short shelf life. Well not anymore, with the promise of the online mode this is going to be a game that will keep you coming back for more. There is no confirmed date for the upgrade yet, but we’ll be sure to let you know more when we do. So in the mean time give the demo a go, it’s free after all. 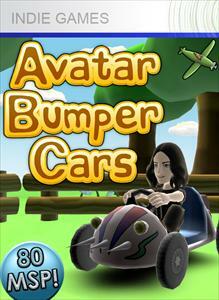 Game description:Avatar Bumper Cars is a 1-4 player arena battle game. Watch your avatar take control of a bumper car in one of 5 different arenas and face off against either your friends or the computer in an action packed battle! Use your car’s spikes to hit their gas cans and send them flying out of the arena. Will you be the last man standing? 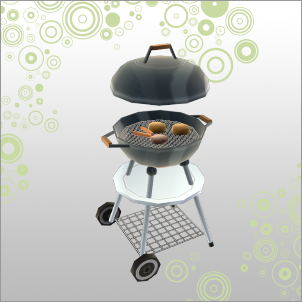 To celebrate the “Block Party” promotion (including the games Toy Soldiers, Scrap Metal, Perfect Dark, and the Game Room), a free Avatar Prop, a BBQ Grill, is being given away for a limited time. The code is multi-use, but will eventually expire, so use it today! 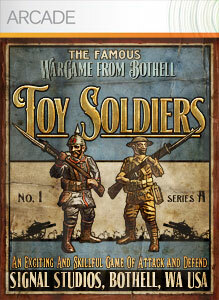 Toy Soldiers, the flagship title for Xbox’s Block Party event, was released to great fanfare and fantastic reviews. Now that the month of March is winding down, I won’t inundate you with another 5-star review of this 5-star game. 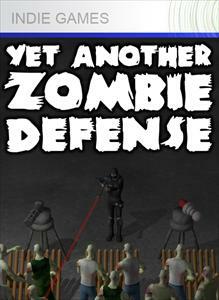 Instead of focusing on my perspective, I’ll focus on a silent killer of XBLA and XBLIG: game longevity. It is no secret that mere weeks after launch, XBLA and XBLIG games can have trouble holding onto their online audience; gamers get bored, try the next best thing, or simply complete the game to their satisfaction. If that is so, then why bother buying an expired and outdated game? Well, for those worrying about this, I’ve got good news. Thankfully, none of that yet holds true for Toy Soldiers. If you missed picking up this blockbuster on launch, you still have the opportunity to enjoy a strong online community – just minutes before posting, I was able to get into an online skirmish on the first try with less than fifteen seconds of waiting. Take the opportunity to try this gem today! 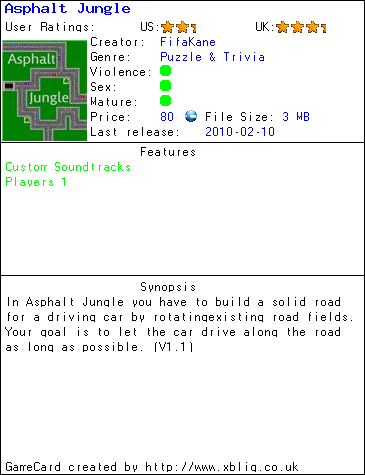 In the XBLIG scene, Asphalt Jungle, a game previously and favourably reviewed on this site, has been updated, including new & improved graphics, and an “Awardment” system to encourage longer and more creative play. Try the game out if you haven’t already! Speaking of asphalt, the MotorHEAT contest is still going strong, and is now up to 13 “1600 MSPoint” cards being given away with 8 days left! Get on the asphalt and show your stuff! Finally, to round out your lucky odds, be sure to enter into our contest for a copy of myFishtank. 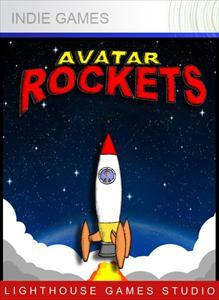 Read our spotlight on Avatar Cannon and Avatar Rockets to find out how! Here’s hoping the rest of the week is as exciting! To date, 11 “1600 MS Point” cards have been purchased with the proceeds from game purchasers during the contest period, and a total of 1002 entrants have tried their luck. 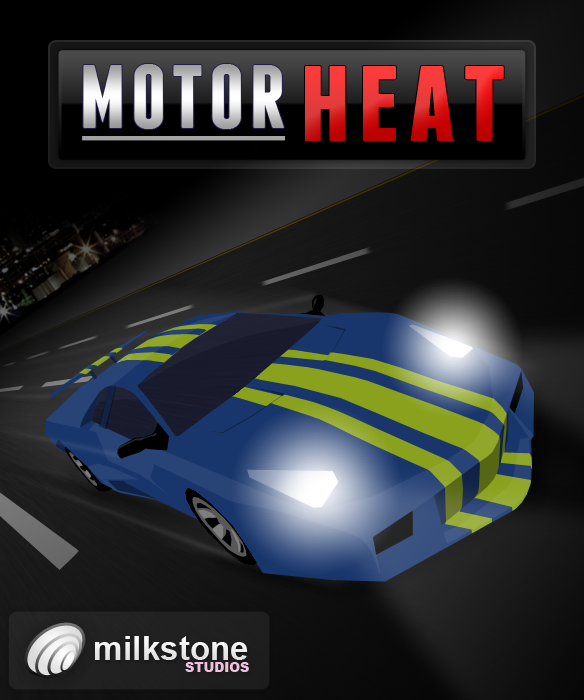 With 11 days remaining, try out MotorHEAT! Remember, the more games that sell, the more prizes they give out as the profits are spun right back into the community gamers! Lighthouse Games Studio is quietly becoming a master of the Flash-esque “Fun for a few rounds every now and then” casual gameplay that has brought numerous Flash portals all over the internet such fame and attention. But instead of being a browser-based crew, they operate in the realm of XBLIG, which means that we can put the spotlight on them. Today we have the opportunity to review not one, but two of their games, and if you stick with the review, you can earn yourself a free redemption code for a third game of theirs. 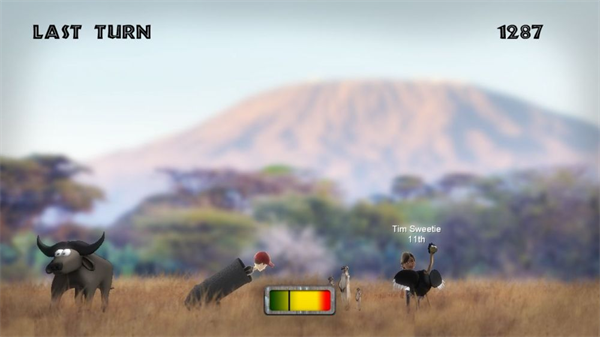 Avatar Cannon is a simple game with a simple premise: Take your avatar, aim the cannon, fire the cannon, and watch ‘er fly. 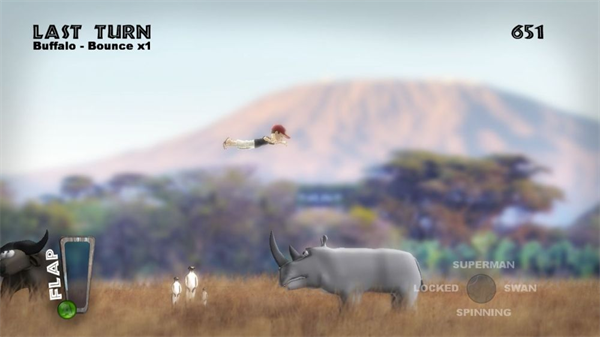 Depending on your skill (luck), your avatar will interact with various African fauna, which will drastically extend the distance you cover. 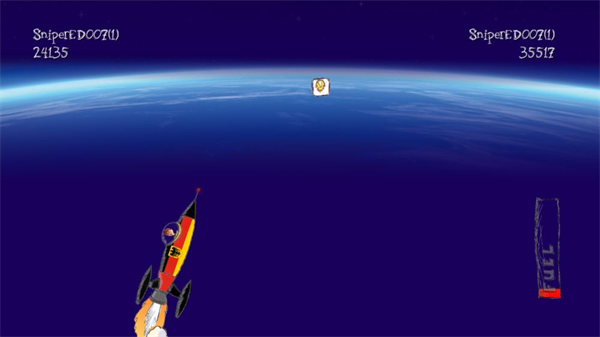 A total of three launches are given to you, and the sum of your adventures is placed on a global leaderboard. Your hard work and effort is rewarded in-game with small rewards via completing the “Awardments”, which is always a nice encouragement, and there’s even an Awardment (“Fan Boy”) that can be gained only by looking at their studio page, so be sure to give that a click. The rewards will assist you in getting a higher score, so keep at it, and you’ll be sure to climb the leaderboards easily enough! Avatar Cannon isn’t a “sit down, play for 10 hours” game – it’s straight-forward, fun, casual, but there’s little meat on the bones. It may, however, fit in a very sweet spot when you have five minutes to kill waiting for a DLC, movie, or game to download, and you can always push yourself to unlock just a few more of its gimmicks. Avatar Rockets is our second feature by Lighthouse Games Studio, and, dare I say, the better of the double-feature. The principle is much the same: With a little skill and a lot of luck, waste a few minutes firing your avatar off into the unknown. 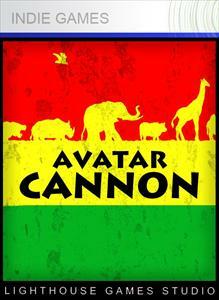 In the case of Avatar Cannon, it was a horizontal flight with animals acting as further propulsion. In Avatar Rockets, it is a vertical adventure, and seemingly-randomly spawned fuel pods are what you have to aim for. The game doesn’t include Awardments, unlike Avatar Cannon, but does include a small amount of customization: A bevy of spaceships await for you, as well as the option to use a simple painter to paint your own design. 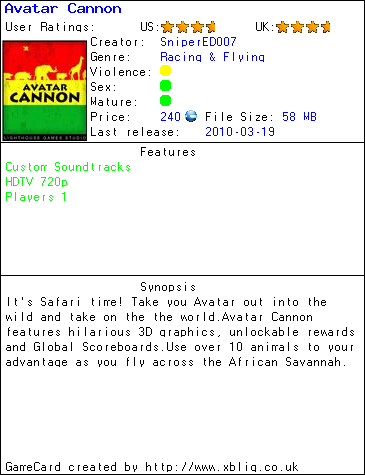 Additionally, unlike, the exclusively single-player adventure of Avatar Cannon, where the only inter-person competition is on the leaderboard, Avatar Rockets includes Xbox Live Party support, with either public or private matches, so that you can show your friends up and reach for the stars. Ultimately, much like Avatar Cannon, however, this game will serve better as an intermittent and occasional time waster, and not the primary focus of a gaming session. Avatar Rockets also has the bonus of being 1/3rd the cost of Avatar Cannon, which, when you’re looking for a casual time-waster, can be a selling feature. Both of the games looked at above are good ways to goof off with your avatar, although they do have limited longevity and are a tad skinny on features. Fortunately, not all of Lighthouse Games Studio’s offerings are designed for ten-minute bursts, and today, we’re going to give away a redemption code for myFishtank, an app XboxHornet reviewed back last May. To enter, simply leave a comment below stating which you prefer: Avatar Rockets or Avatar Cannon, and why. A winner will be chosen next Saturday (March 27th, 2010). 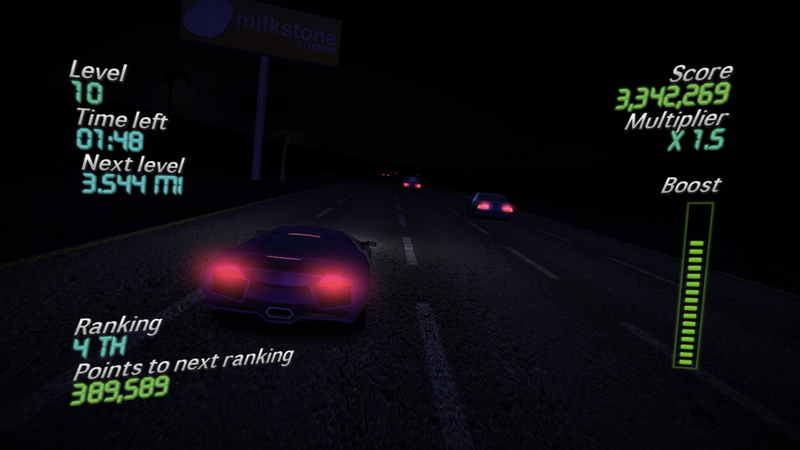 Milkstone Studios has managed to hit upon that je ne sais quoi that can make a racing game so addictive. 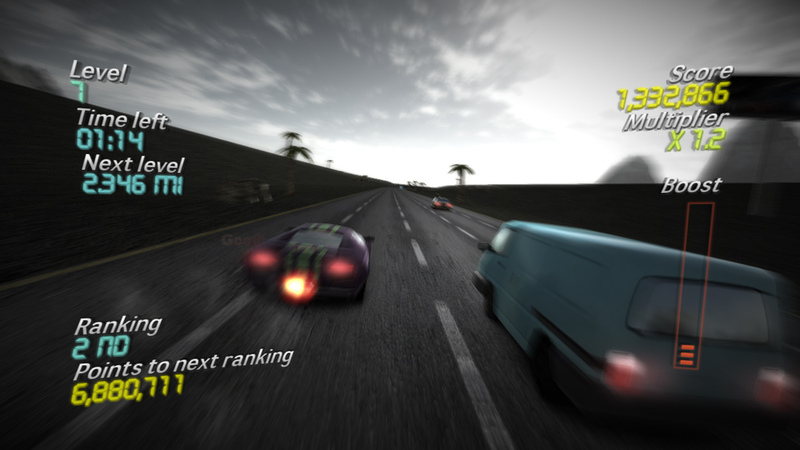 MotorHEAT is a fantastic hybrid of adrenaline-fueled speed and simplistic gameplay that hooks you for the long (and fast) haul. 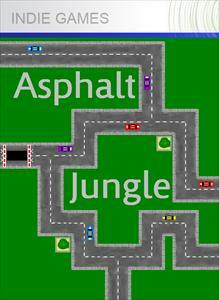 The gameplay is simple and straight-forward: You are in a start-of-the-art car, and you can drive really fast. You drive at irresponsible speeds, wildly swerving through traffic, and the longer you can keep it up, the better score you get. A ‘boost’ bar serves to make things even more ludicrous, and your boost bar can be recharged by narrowly missing a collision with another vehicle. Extra speed and bonus points for nearly crashing? Yikes. 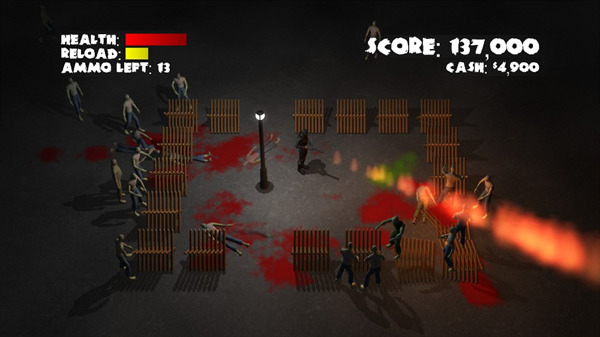 Points are scored based on your current multiplier, which slowly increases the longer you avoid a collision, and points-earning can be augmented by a variety of power-ups that spawn randomly – from the simple ‘bonus points’ or ‘bonus multiplier’ to the nearly-game-breaking temporary invincibility (hint: since collision detection is disabled under invincibility, you actually want to AIM for cars while holding down the boost button). 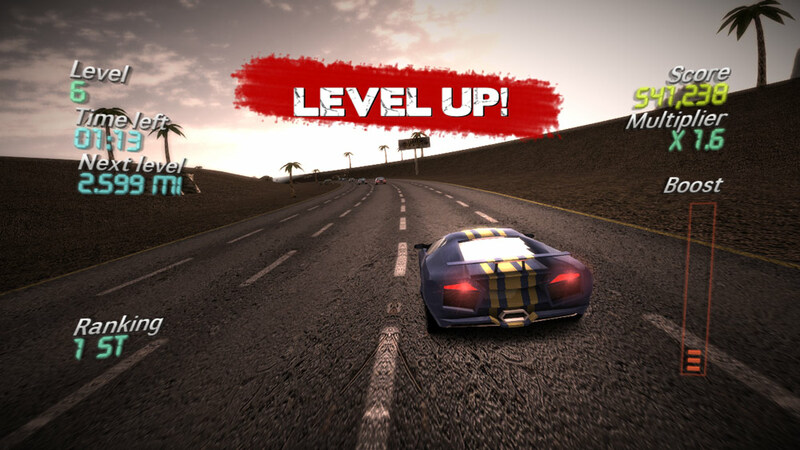 The gameplay starts off hectic, and as you start to swerve past and around the walls of cars, it becomes a desperate bid to move fast enough to finish the ‘level’ – the length of a lap – before the clock runs to zero. Your ranking, always displayed in the bottom-left corner, is an automatically-updated connection to global leaderboards, telling you how far behind the next-best in the world. With all of the ways that points and levels and scores are tallied, the game certainly encourages intense and reckless speeding, although I actually found the gameplay rather zen-like after a while. No matter the visibility (which changes each level to include different times of day, as well as weather), you will always be able to make out those deadly brakelights or tantalizing power-ups, and that simple game mechanic never changes. Milkstone Studios has found that perfect concoction of ‘easy to enjoy, fun to play, but difficult to master’, although I might be cursing them later as I try to desperately claw past the 100,000,000-score supergiants already on the leaderboard. 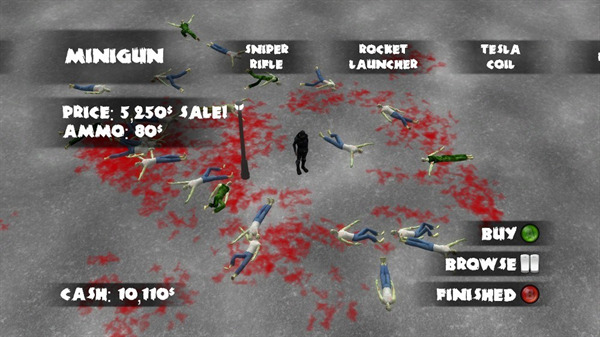 Despite the game mechanics being relatively simple, meat was certainly added to the bones to ensure gamers got their money’s worth. 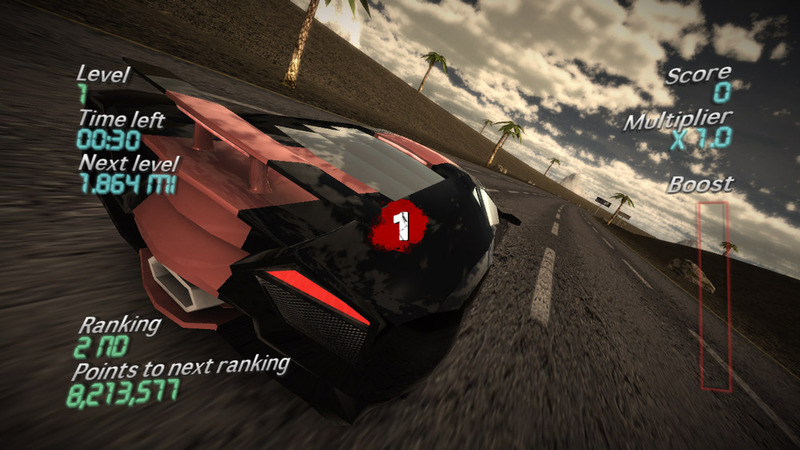 The game includes superficial car customization, which, while primarily for your own amusement, is reflected on your leaderboard runs, and the game includes a full set of badges/awards, seamlessly integrated into the gameplay in the same way a full retail title would. Speaking of full retail titles…well, see if you can catch the reference to one in the badges. Much like the game it alludes to, you’ll be working on that one for a while. And early adopters will appreciate one badge in particular – complete a run in the top 5% of the global leaderboard. The fewer players on the leaderboard, the easier that one should be. Overall, I can’t really recommend MotorHEAT enough. The game is a well polished example of the sort of game XBLIG needs more of, and if you pick it up soon enough, you’ll have a sweet chance at earning some awesome prizes in the Milkstone Studios Contest they currently have running. I haven’t felt so enamoured with high speed collisions since I first played Burnout Paradise. 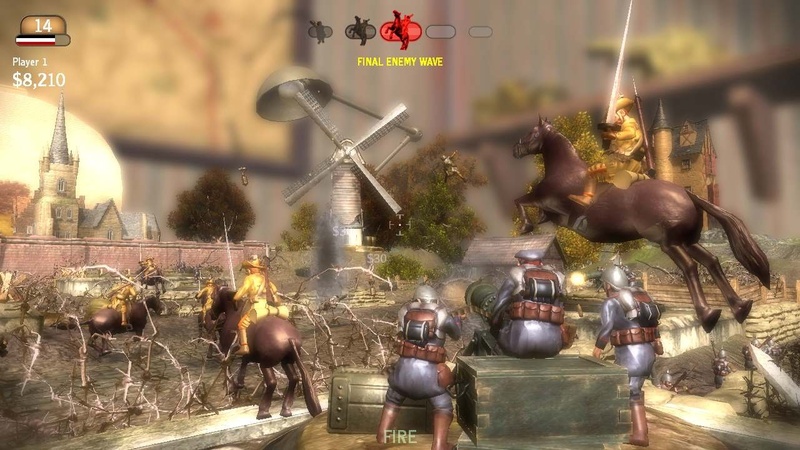 My wish list for this one is short: with awards, online leaderboards, and customization, Milkstone really tried to stack the game with everything, but why don’t we have a splitscreen co-op mode? 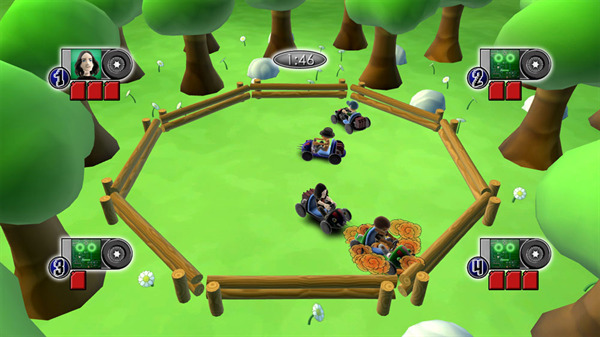 Milkstone Studios, developers of XBLIG games Wool and Little Racers, released MotorHEAT onto XBLIG on February 26th, and while we’re still too glued to it to write up the review (it’s coming soonish, I promise! ), we had to tear ourselves away from it long enough to let you know about a contest Milkstone is currently running. For those that buy & play the full version of MotorHEAT, you will be entered into a draw for MSPoints cards and XBLIG game codes. The gimmick is that all profit that Milkstone makes during the contest cycles back into more prizes – if more people buy the game and play it, Milkstone buys more MSPoints cards to give away to the players. As far as winning yourself an attentive audience, I can’t see a better way to run a contest, so hat’s off to you, Milkstone. All of the details of the contest are on the Milkstone site here, but I’m really impressed at Milkstone’s interest in getting the community of gamers involved. Any gold account that plays is eligible to win, and while skill plays a small part in how many entries you get, anyone could be that lucky somebody. Try out the demo, fall in love, buy the game, win more games – it’s a cycle any indie gamer can get behind. As for me? Well, I guess I’ll see you on the global leaderboards!